Bukit Malawati is a historical hill located at the coastal town of Kuala Selangor. 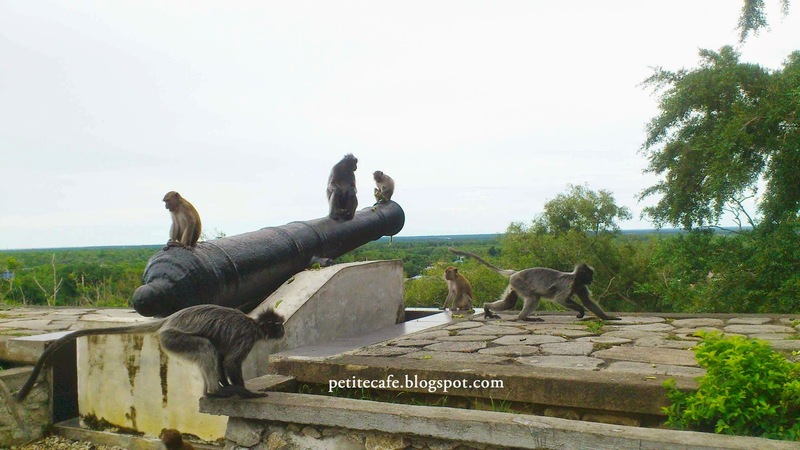 There are a few attractions in Bukit Malawati (Malawati Hill) in Kuala Selangor such as the remains of an old port, cannons lighthouse, royal mausoleum, seven wells and a supposedly execution rock (batu hampar). 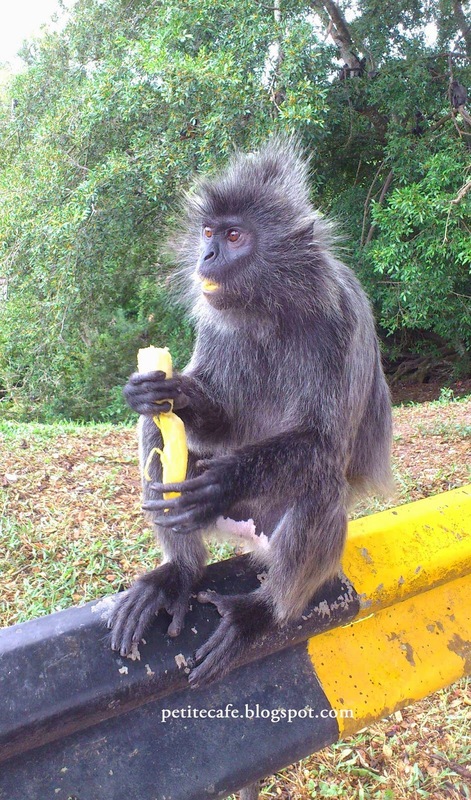 There are two types of monkeys here; the Silver Leaf Monkey (below) and Long-Tailed Macaques. Visitors can buy bananas and string beans from vendors around the area and feed them. 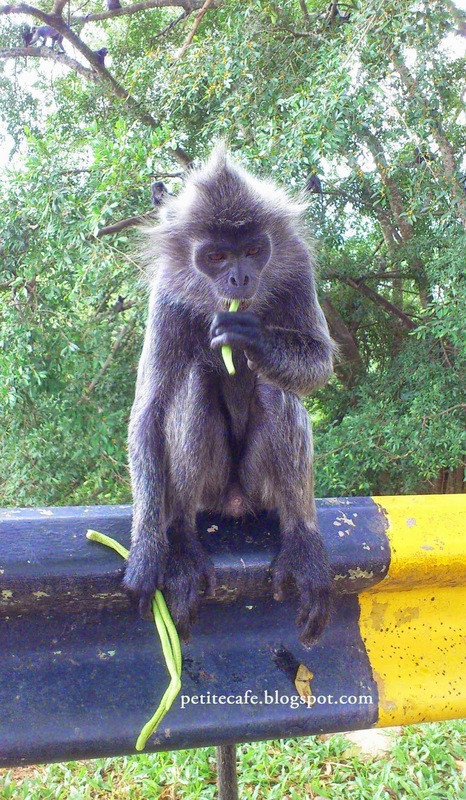 The Silver Leaf Monkeys are generally tamer than the Long-Tailed Macaques. One interesting sight and fact for visitors: a baby Silver Leaf has bright orange furs, in constrast with the grey fur for the adults. Other popular attraction in Kuala Selangor - Fireflies, eagle-feeding, fishing villages and fresh seafood.